It seems you can’t release a puzzle game anymore without having some sort secondary genre gimmick, and the newest puzzle and RPG hybrid comes from the combined efforts of a company known for casual puzzlers and another company that is most certainly known for its RPG titles. PopCap and Square Enix have teamed up for a new downloadable effort entitled Gyromancer, and given this team up, players are certainly expecting great things to be birthed from this collaboration. While the initial concept is hardly original, these companies’ new spin on the hybrid effort pieces together with far more pros than cons, resulting in a title that doesn’t just copy the full Puzzle Quest formula. In Gyromancer, players assume the role of Rivel, a beast summoner on a quest through Aldemona Wood. Of course, the quest hardly plays out smoothly and Rivel runs into resistance, and in typical RPG fashion, he becomes involved in a larger plot. The story progresses at the beginning and end of each stage along with dialog at specific encounters. Overall, the scripting is handled fairly well and the splashes of “Ye ole English”Â give the dialog a bit of a unique flair; however, every bit of story is handled with static portraits that rarely change to show emotions and action. Also, even though I enjoy the classic dialog style, I could imagine some players would find it hard to follow, and there were a few portions of the story that I found confusing due to the story flow and the methods used to tell the story. 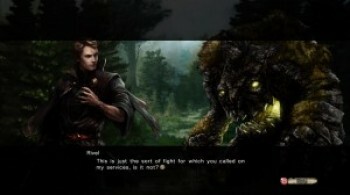 The storyline is standard fare for any RPG title, however, the way it is told lacks any sort of polish outside of dialect – some animations, brief cutscenes, more backgrounds, more portraits, small voice clips or really just anything in this vein would have thrust the storytelling to a much higher score. This is especially true since the single player storyline is the only mode Gyromancer has to cling to. 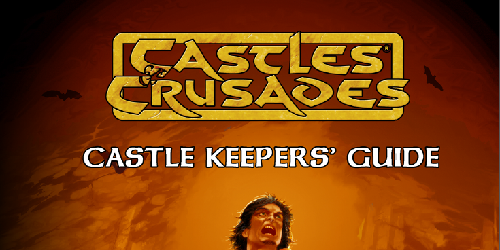 While players can unlock “gauntlets”Â of enemies to run through, there is no free play or multiplayer to speak of, which is undoubtedly the title’s most glaring weakness. Fortunately, aside from the blatant lack of originality I’ve already touched on, everything else proves to be a much better experience for players. While most of the game’s visuals are static, they are very well done, featuring a fantasy theme that one might say is comparable to the art from Magic: The Gathering. It works extremely well in context, and each character and beast is drawn in extravagant detail. However, again, the glaring lack of animation in most of the art really works against the visuals. The map screens literally looks like a player is moving a game piece on a game board, leaving most of the graphical punch to rely on the bursts and flashes of lighting seen when players trigger switches or similar events on the map. Even in battle, attacks are given the same treatment, with the beast/character portraits never animating or featuring different stills to convey actions, pain, fatigue or victory. The bottom line is the visuals provided in Gyromancer are very well defined, however, they are just never given the chance to truly shine due to their repetition – even some minor animations and alternate portraits could have raised the graphics score into the INCREDIBLE or above territory, because the drawings are, in fact, that well done. Not only is Gyromancer great on the eyes, but the sound also comes through to round out a satisfying presentation. Anyone who has picked up a puzzle-RPG hybrid should know what to expect from Gryomancer’s sound effects, which mostly come from your basic puzzle game effects of rotating pieces, the bursting of gems and the jingles associated with navigating menus. Gyromancer takes it a bit further, with sound effects that reflect nature elements based on the affinity of a given attack, and appropriate music accompanies every scenario in the game. Players are welcomed to the game with a loud, epic sounding piece, the story-based and map segments are appropriately calm, and the strength of the enemy determines how intense the music is. For a game of this nature, there is a surprising sampling of tunes, and each is used at very appropriate times. Honestly, there isn’t much novelty to the gameplay, however, that isn’t to say players won’t have an engaging and fun experience with Gyromancer. Not only will the theme be familiar to anyone that has picked up a title such as Puzzle Quest, but the basic mechanic implemented for the puzzle gameplay is a pound for pound recreation of Bejweled Twist, courtesy of PopCap. For those not in the know, Twist follows the same match-three mechanics as Bejeweled, however, players position four jewels at the same time and movements may only be made in a clockwise rotation, which really limits the player’s options and adds challenge to the game. In Gyromancer, of course, this formula has been expanded upon – matching jewels adds juice to your beast’s three attacks, and by filling up an attack, a jewel on the playfield is sparked with energy. Grouping this sparked jewel in a match inflicts damage to your opponent. 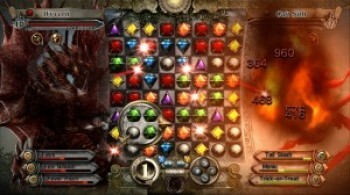 Of course, players are facing off against an enemy and, as such, every single move made by a player juices up their attack meters, and when an enemy meter fills, a jewel is ignited with enemy energy, leaving a player with seven turns to remove it from the playfield before the attack damages them. Everything starts off simple enough – players are positioned on simple maps with little room for exploration against standard enemies with very little to worry about in regard to penalties. While on maps, players can move one space at a time. Moving onto the same space as a skull thrusts players into a minor battle, players are shown a full beast skeleton that shows where that level’s boss is, fountains restore some of your beasts’ health and there are code icons which allow players to purchase new forms of beasts in a shop. As players progress though, they will run into roadblocks that have players solving a puzzle (such as clear x amount of jewels at the same time, make an x chain, etc.) in order to proceed, certain spaces on the map will force players to automatically move in a specific direction, enemy spawn points will appear with mini-boss characters and more. Even in the battles, enemies will throw a bunch of tricks at you, locking jewels in place, turning jewels into useless rock pieces and more. Fortunately, more tricks become available to players as well, as they come across items that allow them to rotate counter-clockwise for one turn, reset buffers and more. Obviously, as players progress, the game gives them a Pokemon vibe of “gotta catch them all,”Â offering up a number of beast types with three different evolutions each to provide more powerful forms that give players a chance on the later levels. As such, while some players may find the game to be insultingly easy in the beginning, the pace definitely picks up, providing some thought-provoking challenge, especially when players begin being severely punished for taking turns that do not clear jewels from the field. It may take a few stages too long to really pick up, but once players dive into all of the nuances that makes Gyromancer so much different than other titles in the genre, that’s the point where the title becomes the most addictive and rewarding. All of the controls are simple in puzzle game fashion, but the actual mechanics surrounding them is what makes the game so intricate. 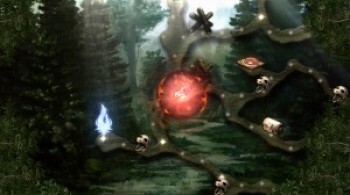 Even so, there are some safeguards that allows less skilled players to manage in the game, with indicators notifying players of possible matches when they are stuck and at any time on the map or in battle, players can press a help button to allow them to highlight anything of note on the screen for a description. While puzzle veterans might feel the game takes a tad too long to get to the meat of the meal, these mechanics should be more than enough to ease anyone into the game in preparation for when the challenge starts to kick in. 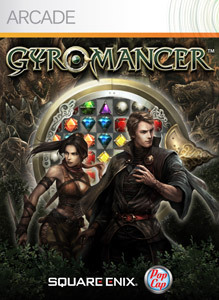 While the title sounds like a straightforward puzzle romp through more than ten levels, Gyromancer does a lot to encourage players to revisit levels a number of times, and the scope of hidden items and multiple paths on the maps should have players coming back to them time and time again. Not only will players have to take part in a number of battles to keep their beasts leveled up, but in nearly every map, defeating the boss opens up a locked path that takes players to new sections of the level that can be nearly the size of the original level. This encourages players to revisit the level to find a large number of new beast codes, items and gil. Not only do the new areas open up, but each level features a lineup of “achievements.”Â Defeating the boss character unlocks the first achievement, but players will have to go back and take out the mini-bosses, find four codes per stage, score x amounts of points and more to have a complete 100 percent clearing of the level. As I’ve mentioned earlier, players will also unlock a “gauntlet”Â lineup of monsters, which is the closest Gyromancer comes to offering a type of free play mode, so PopCap and Square Enix has implemented a number of mechanics to keep players coming back time and again, and very little of these mechanics seem forced or cheap. Overall, the companies have seemingly combined the puzzle, RPG and monster management genres all into one, satisfying package. There is a ton to do and see, and in my experience, I found a good amount of challenge to the title. Since the CPU has no active turns, getting damaged was less a matter of the computer taking the best possible move every time combined with luck; here, the player’s skill (well, yes, along with some luck) is the determining factor in what plays out in Gyromancer. Most of the downsides to the title amount to a lack of polish to the solid mechanics implemented in the title, but the full package is a welcome addition to the Xbox LIVE Arcade library. The mash of themes should be appealing to anyone looking for a solid puzzler and although most of what is presented is hardly original, there are a number of small additions to keep Gyromancer fresh and a worthy purchase. While the lack of a multiplayer or online component is disheartening, what the title does offer will keep dedicated puzzle fans tied to the system for a number of hours. Gyromancer hits the ball out of the park in every department a puzzle game should – the challenging mechanics and rewards make the title addictive and there is a score of replayability in this seemingly simple title. 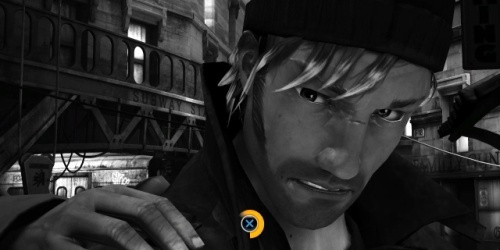 You’ll find some kinks in the game’s storytelling and the title is far from original, but PopCap and Square Enix have managed to craft an extremely solid downloadable title. Some lack of polish and slow initial pacing hold the title back just a tad, but once players dive into the meat of the game, it becomes very hard to put the controller down. At the heart of the title is a total recreation of Bejeweled Twist, but the tweaks and additions make Gyromancer a very intriguing title that can hold players’ attentions for hours at a time. 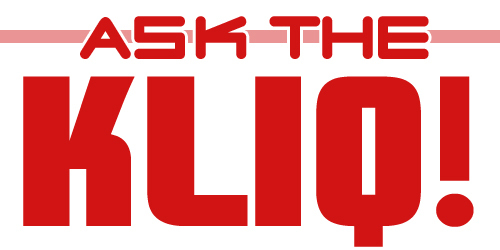 Ask the Kliq #16: Role-Playing Games!